As we all know, it seems extremely complicated to transfer data between iOS device and computer via iTunes. It always takes so much time to sync the data with your iPhone/iPad/iPod, even the result is not as expetced. That's the reason why we develop MobieTrans which enables you to transfer any data like photos, music, videos, contacts, SMS, etc. between your iPhone/iPad/iPod and computer without iTunes, it can also transfer data between iOS devices. You can delete data such as photos, music, videos, contacts, etc. 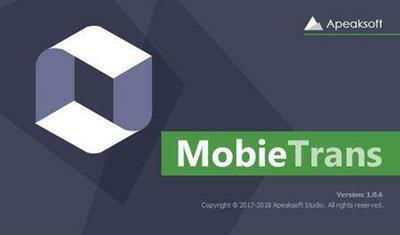 you want to delete in one click via MobieTrans. You can select one or more items you want to delete. And that's much easier than deleting on iPhone one by one. MobieTrans enables you to rename your photos, photo albums, contacts, music, videos, etc. on your computer. After renaming, you can find the file you want through the name quickly. That will also make your files look clearer. It is an annoying problem when you find your contacts are duplicated. MobieTrans can solve this problem for you. It can scan your iPhone/iPad/iPod and find out the duplicated contacts, then you can select all of them or some of them to delete. You can also merge them into one contact.